The EU is investing over EUR 3 million in innovative aero-engine technologies in the three-year "Ultimate" project, short for "Ultra Low emission Technology Innovations for Mid-century Aircraft Turbine Engines". 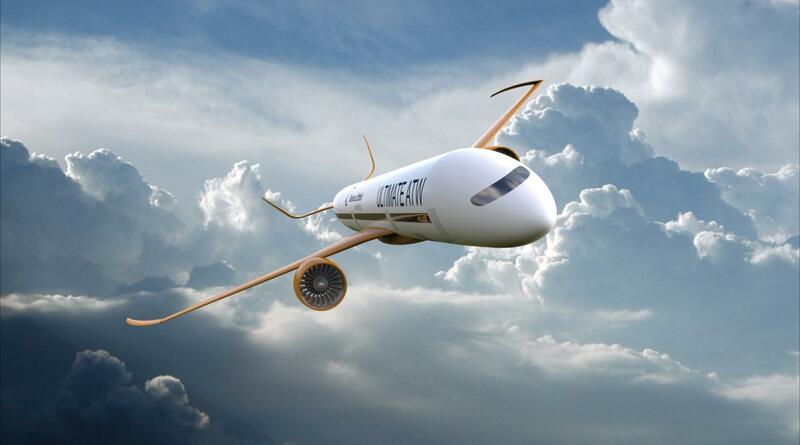 The project targets radical concepts for new aero engines, in line with the EU's long-term emissions reduction target for 2050. The project is being presented at a conference in South Korea this week. The project team, coordinated by Chalmers University of Technology, includes four of the largest engine manufacturers in Europe: Rolls-Royce (UK), MTU Aero Engines (Germany), Safran Aircraft Engines (France) and GKN Aerospace (Sweden), four universities: Chalmers University of Technology (Sweden), Cranfield University (UK), Aristotle University of Thessaloniki (Greece) and Institut Supérieur de l'Aéronautique et de l'Espace (France), the research institute Bauhaus Luftfahrt (Germany) and the technology management company Arttic (France). "The EU is targeting a 75 percent reduction in carbon dioxide emissions per passenger kilometre between the years 2000 and 2050," says Tomas Grönstedt, Professor in Turbomachinery at Chalmers and coordinator of the project. "Decades of investment in advanced technology, supported by EU programmes such as Clean Sky, have made such ambitious goals feasible. To reach the 75 percent reduction target, we estimate that the last 18 percent will have to come from radical technology developed within our project." Feasibility of the innovations is ensured through close collaboration with industry, so that concepts that would be unrealistic to put into practice can be discarded at an early stage. The engines to be developed must also be capable of meeting very stringent noise and nitrous oxide emissions targets. Results from the project will be used in industry roadmapping to plan technology acquisition for future aero engines. It is anticipated that these sophisticated technological solutions would bring many high technology jobs to Europe. A modern aero engine has an overall efficiency of around 40 percent. With year 2050 technology it may be possible to reach efficiencies exceeding 60 percent by combining incremental improvements to conventional components with radical new design concepts to target the major sources of loss inherent in existing engines. "We will mature engine concepts that today only exist as ideas, by combining technologies in an unprecedented way," says Tomas Grönstedt. "For instance, a composite engine cycle that combines conventional aero-engine combustion technology with piston engine solutions." State-of-the-art aero engines experience a drop in pressure in the combustion chamber, but designs that raise pressure during the combustion process can radically increase engine efficiency. Another large source of loss comes from the fact that the exhaust air from the engine is still 500 – 700 degrees hotter than ambient. "If this wasted heat can be recycled then major improvements can be expected," explains Tomas Grönstedt. "The kinds of radical solutions we will be exploring could completely change the layout and appearance of future engines."